NSW Mid North Coast’s premier rural lifestyle ProAg Field Days, supported by bcu, will return to Macksville for two big days in early November. With more than 100 agricultural and general interest companies on-site, demonstrations, new products, innovative presentations and more; ProAg Field Days, supported by bcu, will have something for the whole family. bcu is proud to again be supporting Macksville’s ProAg Field Days. 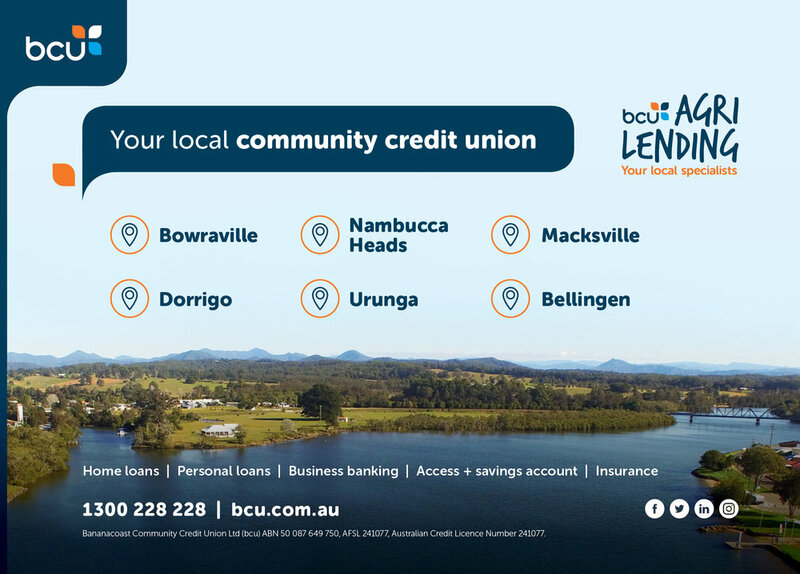 bcu was originally founded in Macksville nearly 50 years ago and the local community and members of this region will always remain an integral part of our organisation. This area is part of one of the richest and diverse agricultural areas of Australia, and it has been an incredibly tough year for many of our local farmers. As a local community Credit Union, bcu are passionate about supporting the incredible community we are honoured to be a part of. Macksville ProAg is a signature event for both Macksville and the agricultural landscape across the region and sponsoring this event is just one of the ways we are able to help support our local farmers. With a range of competitive products and personalised service, we’re committed to providing a financial solution that suits the individual needs of each of our Members. We have a dedicated Agri-Business team who are attending the ProAg Field Days and looking forward to meeting with fellow exhibitors and visitors at the show. The bcu Agri-Business team has extensive experience in the finance industry and specialist knowledge of core agricultural industries: blueberry; sugar cane; beef and dairy cattle; Teatree; and, other niche industries. ProAg Field Days, supported by bcu, commenced in 1984 and quickly established itself as a signature event for Macksville and the agricultural landscape across the Nambucca Valley, Kempsey and Macleay Valley, Port Macquarie and Hastings Valley, Greater Taree, Bellingen Valley, Dorrigo and Coffs Harbour. Fairfax Rural Events is excited and committed to working in partnership with the town and region to continue to deliver a successful primary industry event. ProAg, supported by bcu, will be staged on Friday 2 and Saturday 3 November 2018, on its field day site at the Macksville Showground.